lives in Phnom Penh with her parents and siblings. person to learn about the situation in Cambodia. Cham for Phnom Penh, he came alone. By then, he only had one old bike. been for my father’s efforts, this day would not have come for me. University, and in Economics at the Pannasastra University of Cambodia. tolerant. We can help to build peace among us, which is my first goal. 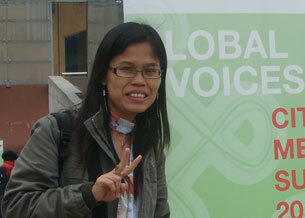 Interview by Naline Pea of RFA’s Khmer service.